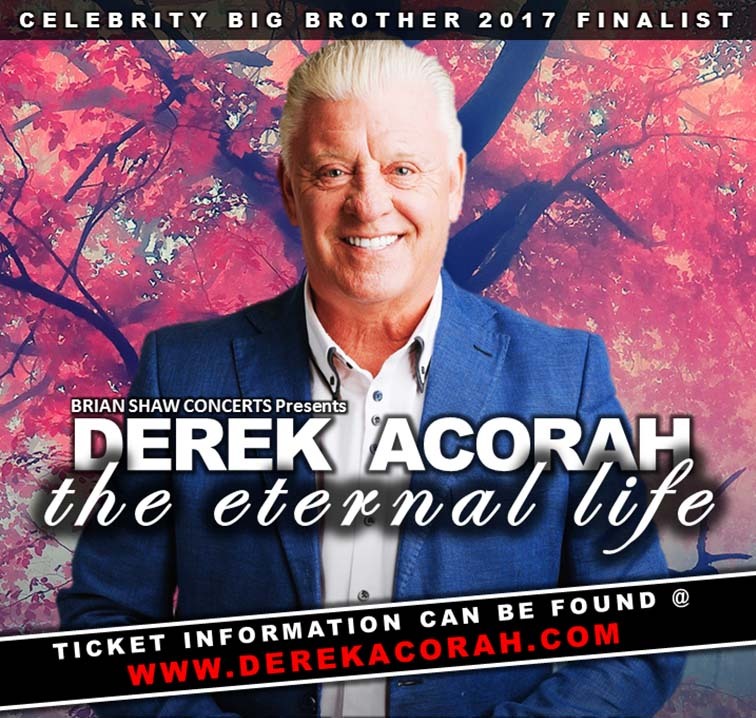 2019 sees Britain’s best loved and most entertaining medium take to the stage across the UK and Europe with his all new ‘The Eternal Life’ Tour - Join Derek at The Grand Pavilion, for an evening to remember! Derek is something of a phenomenon. A truly modern medium whose appeal crosses the generations to young and old alike, he remains the forerunner in the field of paranormal and spiritual matters. An unusually engaging and entertaining character for his genre, he is regularly recruited to appear in many an entertainment show. TV programmes such as Through The Keyhole, Britain’s Got Talent, Celebrity Juice and Big Brother. Online concepts and commercials, a guest appearance in a promotional video with world renowned Rapper Redzz, plus regular and hilarious send ups of himself with ‘Dead Certs’ for Paddy Power, just continue to add to his legion of fans. **Evenings of mediumship are not scientifically proven and are presented for educational and entertainment purposes only. Accessibility: Please be aware this event is not accessible for wheelchair users - please see our HOME PAGE for more information, Thank you.